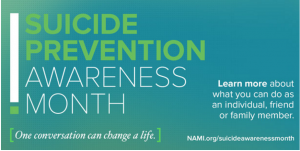 September marks National Suicide Prevention Month and a chance for all of us to think again about what we can do against this huge public health problem and the number two killer of Vermonters between the ages of 10 and 34. While we’ve seen increased attention and resources devoted to suicide, there is still a long way to go. Just imagine the response locally and nationally that would happen if the second leading cause of death was something like a new infectious agent or terrorism. Indeed,we all need to work against a feeling of complacency that suicides are inevitable and cannot be prevented through the implementation of optimal assessment and intervention strategies. Just in July 2016, the American Academy of Pediatrics released a new report on suicide from the Committee on Adolescence. The article provides a number of important updates with regard to suicide statistics, trends, and risk factors that incorporate today’s more modern and digital environment. Some basic information useful to all primary care clinicians include the following. Suicide rates rose 300% from 1950 to 1990 before declining. Unfortunately, however, this period of decline seems to have stopped with the rate now being on the rise over the past 5-10 years. Males have higher rates of suicide completion while females have more attempts. The number of attempts to completions is about 1:50 to 1:100. Surveys continue to show an alarming number of high school youth report strong feeling of depression and suicidality, with a startling 14% of high school students nationally reporting have made a plan to attempt suicide in the past year. Suffocation and firearms are the two leading causes of suicide death. While the presence of firearms in the homes, regardless of how securely stored they are, increases the risk of adolescent suicide, there is data suggesting that secure firearm storage does diminish this risk. 90% of adolescent suicide victims met criteria for a psychiatric disorder, including but not confined to depression. Bullying, both in person and online, is an important risk factor for suicidality. Perhaps more surprisingly, those who bully others are also at increased risk. An LGBQ orientation increases the risk of suicide. Transgender youth are also at increased risk, although it is likely that at least some of this risk is related to bullying and nonacceptance. Excessive use (more than 5 hours per day) of using the internet and/or video games increases suicide risk. The way suicides are covered in the media can be related to suicide clusters or contagion. There is concern that the FDA’s decision in 2004 to put a black box warning on antidepressants may have inadvertently led to the underdiagnosis and undertreatment of adolescent depression. The report outlines a number of different areas of research that are consistent with this hypothesis. The report also outlines specific recommendations to pediatricians regarding assessment and treatment. These include the following. 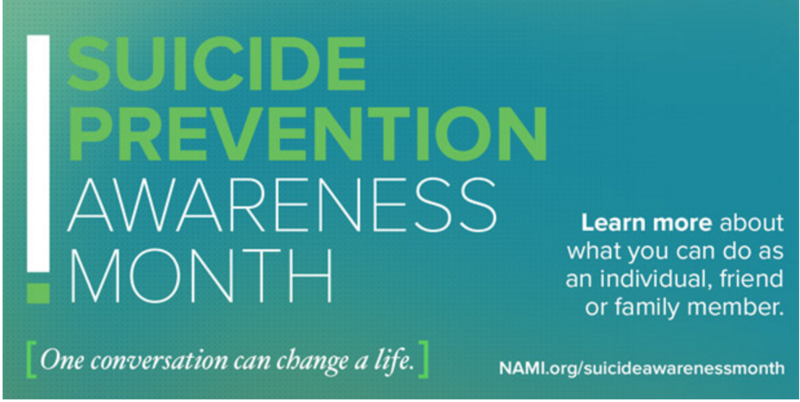 Ask questions about suicide, mood disorders, substance use, and other suicide risk factors. All children between the ages of 11 and 21 should be screened for depression. While the use of screening instruments like the PHQ-9 are recommended, the report emphasizes that these scales should not replace direct questioning. The article gives very specific suggestions on how to word these questions and bring up the subject. Ask families about access to lethal means such as firearms and medications. Advise families of patients who are suicidal or at risk of suicide to remove firearms and ammunition from the house. (I imagine this one is going to be controversial but haven’t looked at the NRA response yet). Educate yourself about suicide, depression, and antidepressants. Especially if you are in an areas where mental health referrals and consultations are hard to get (probably most primary care docs would say yes to this), consider getting more in-depth training in the diagnosis and management of adolescent mood disorders. Develop good working relationships with other professionals who work in mental health. Overall the article recognizes suicide is a major public health concern. It contains quite a bit of important information and specific recommendations and definitely is worth a read not only for pediatricians and family medicine physicians but other mental health professionals as well. Shain B. Suicide and Suicide Attempts in Adolescents. Pediatrics 2016; epub ahead of print. Vermont Suicide Prevention Center’s 2015 Vermont Suicide Prevention Platform. This document has a lot of important and basic information that is nicely prepared and visualized. It also documents the center’s 11 goals and strategies for reducing suicide in Vermont. Zero Suicide . This is a national SAMSHA supported program dedicated to the idea that suicide is preventable with the application of 7 focused areas of care improvement. AAP Mental Health Toolkit. This is referenced in the above article. The full kit needs to be purchased although some information is downloadable for free. New Video from Stuck in Vermont. Released on Sept 1, 2016 for Seven Days Vermont and featured on WCAX’s television show The :30, this is the latest video from Stuck in Vermont creator Eva Sollberger. It features video from family members who have died by suicide and local mental health professionals. I was happy to be part of this effort. This entry was posted on Friday, September 2nd, 2016 at 10:12 am and is filed under Depression, Suicide. You can follow any responses to this entry through the RSS 2.0 feed. Responses are currently closed, but you can trackback from your own site.